Lauren London chose to share a heartwarming text she sent to her late boyfriend Nipsey Hussle months before he was tragically killed last month. 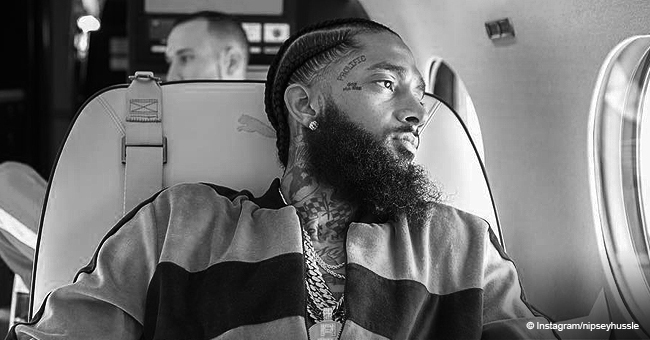 The lengthy message was included in the program for Ermias "Nipsey Hussle" Asghedom's memorial service which was held on Thursday, April 11, at the Staples Center in Los Angeles. London, an actress, was with Hussle for five years before the latter was shot to death outside his clothing store on March 31. According to Metro UK, two pages of the program were dedicated to their relationship. Lauren recently commemorated their love with a tattoo of Hussle's face which she shared to her Instagram. She posted another picture of her and Hussle after that. Prior, London shared a photo of Hussle with some sweet words. The posts are found below. 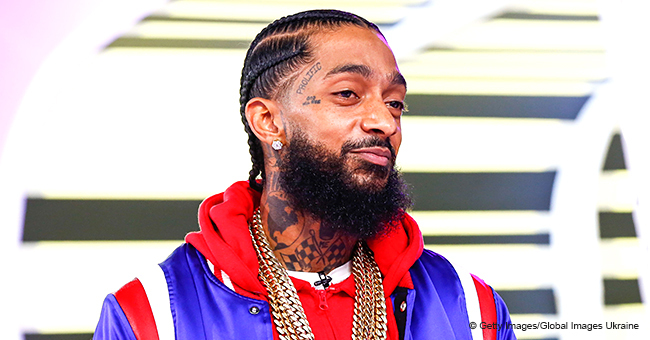 Hussle was just 33 when he died and left behind his parents, siblings, girlfriend, a son, and one daughter whom he shares with London. In addition to his family, hundreds were touched by the rapper who would help out his community in various ways. Arguably, London was among those who most appreciated what Hussle was to her. Her text message was written on the morning of January 21 as she lay next to him while he slept. "I’m in bed with you while you’re sleeping and I wanted to tell u something. I want you to know I feel real joy in my heart when I’m around you. I feel safe around you. Protected. Like a shield over me when you’re around. I am totally myself with you (which is prob why I’m annoying) because I don’t wear a cool mask anymore lol." The message was shared online by the Shade Room. People who read it commented with lots of crying emoticons to express how touched they were by the heartfelt message. "You’ve made me into more of a woman. You’ve given me an opportunity to really love a man. You’ve been with me while I’ve been sick. Through my fears. U have encouraged me, and inspired me to reach higher. I’ve learned so much more about myself with you." London called Hussle her "turn up and [her] church." She said she would strive to continue gaining knowledge as Hussle did. The 34-year-old further acknowledged the times when they were "at odds," but said she knows "we are so much better than that." "I just want you to know that you’ve been the greatest boyfriend to me. You aren’t perfect but I would never ask you to be. You and I work. We fit. And…. you’re still the coolest guy in the world to me. Still! I love you so much. Unconditionally. My truth is this. I’m never going to give up on you. My loyalty and devotion is to you." The letter showed how an undeniably true love existed between the couple. Several celebrities have shown support for London alongside a tribute to the deceased rapper. A letter from Jay-Z was also included in the program. It began with a quote from "renowned late professor, Dr. Howard Thurman" who encouraged people to be their genuine selves and not be pulled on strings. "The world just got to see a flash of your brilliance. You were a curious soul who was evolving at a speed that was truly inspiring. The seeds you have planted are already bearing fruit. The outpouring of admiration is a testimony to the love and respect you’ve farmed." He closed by telling Hussle to "sleep well, king." Former President Barack Obama also wrote a letter dedicated to the rapper. Though they had never met before, Obama knew about Hussle through his daughters. 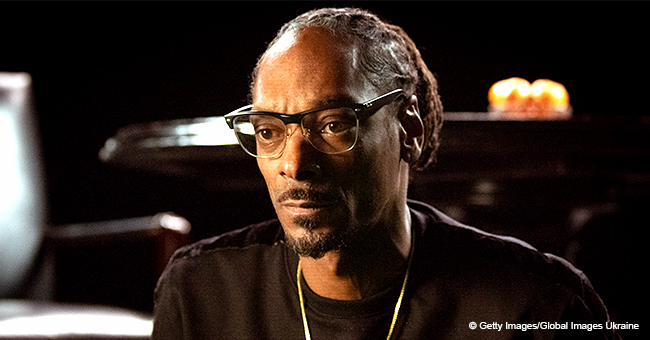 People who spoke at the memorial service included Hussle's brother Samiel, his father Dawit Asghedom, Stevie Wonder and Snoop Dogg. 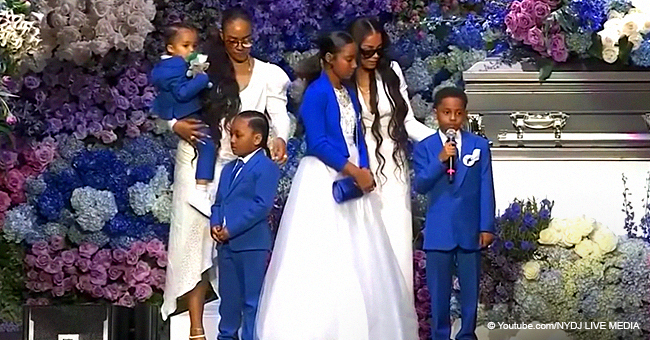 Angelique Smith, Hussle's mother, gave one of the most touching speeches as she described how she felt her son's death was coming months before it happened. She suspected her son knew it too because he began texting her more than usual and visiting his grandmother every day. 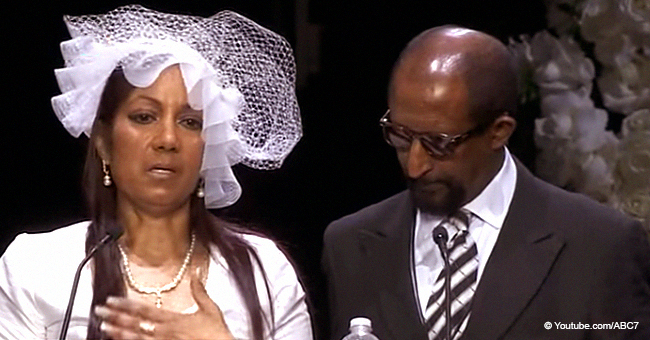 Smith also said she "felt spiritually in [her] soul as if Ermias was going to leave." The emotional mother said she did not sleep in the two weeks leading up to her son's death. Still, because she had been prepared for it, she is now "at perfect peace, happy, and complete." Smith called her late son "a great man" who she was "very proud of." She also encouraged the attendees to follow some of her son's positive lifestyle changes by going vegan, refraining from alcohol and drugs, and being "the light of change that we want in the world." The memorial service was streamed live via several outlets. A suspect in Hussle's murder is currently in custody while the community mourns their loss and attempts to unite in honor of their beloved friend.